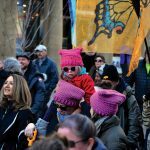 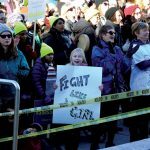 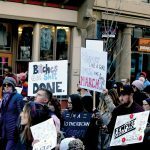 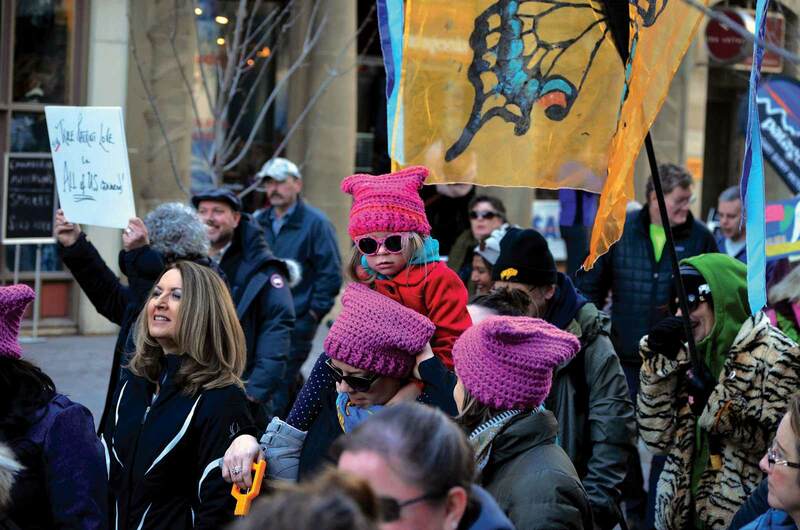 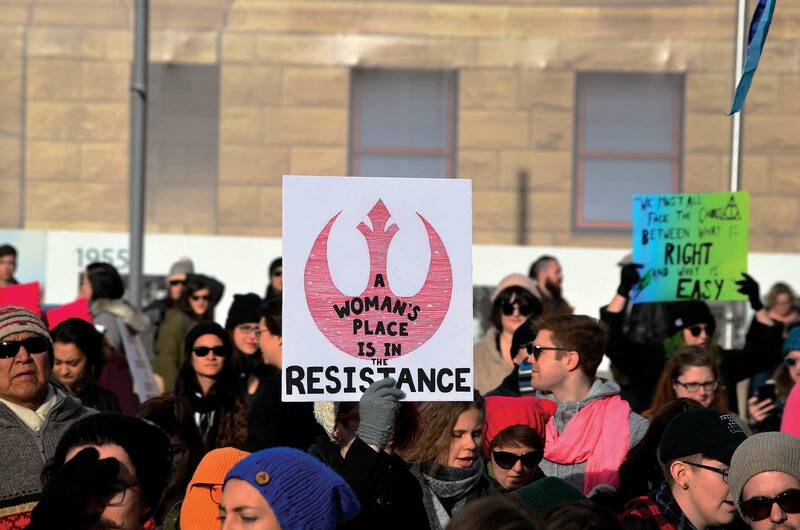 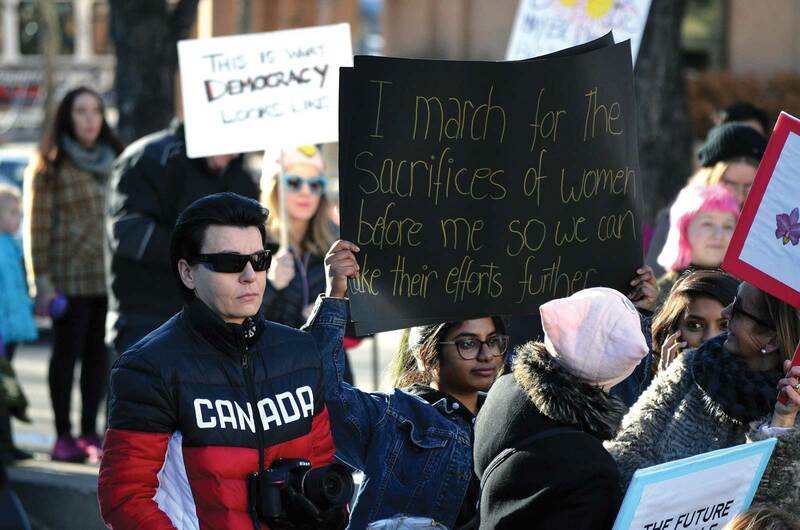 Thousands of Calgarians took to the streets of downtown Calgary on Jan. 20 to show their support for the second annual Women’s March. 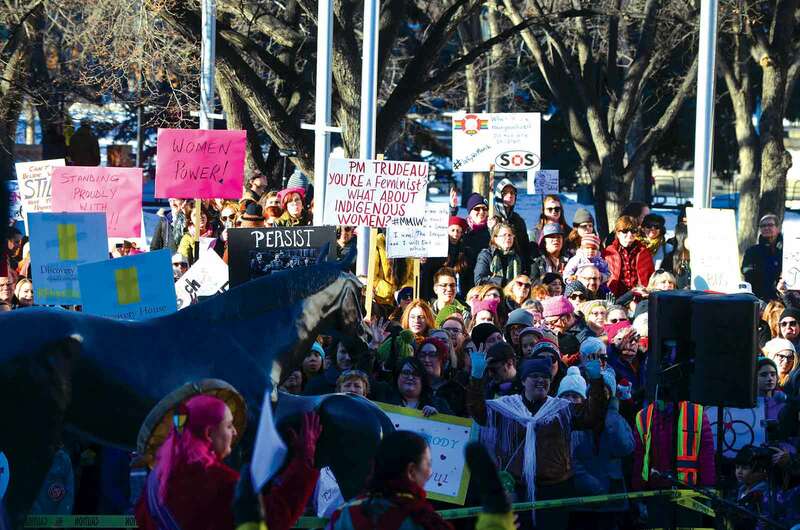 The march-goers held multicoloured signs depicting messages such as “A Woman’s Place is in the Resistance,” “Time’s Up,” “We Will Not Be Silent” and “We are the Granddaughters of the Witches You Weren’t Able to Burn” along with reasons why each individual was marching. 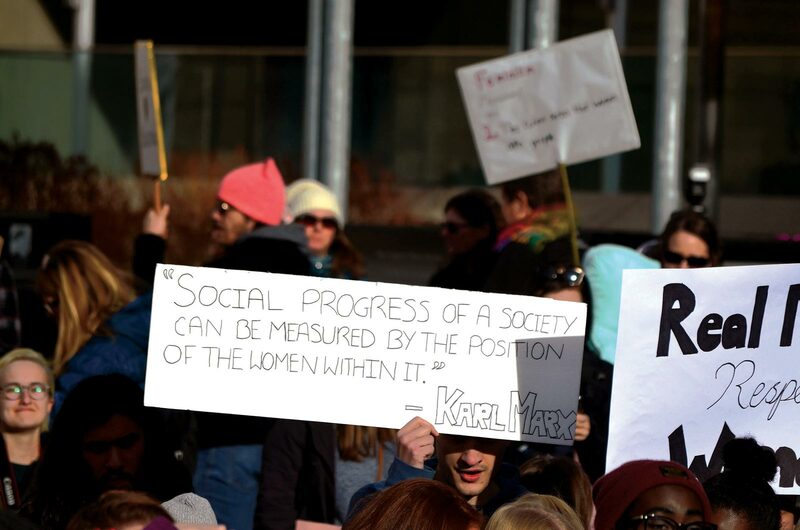 The march began at 12 p.m. where Calgarians met at Bankers Hall, marched down Stephen’s Avenue, chanting things like “women’s rights are human rights,” and gathered at the plaza in front of city hall. 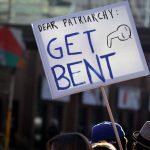 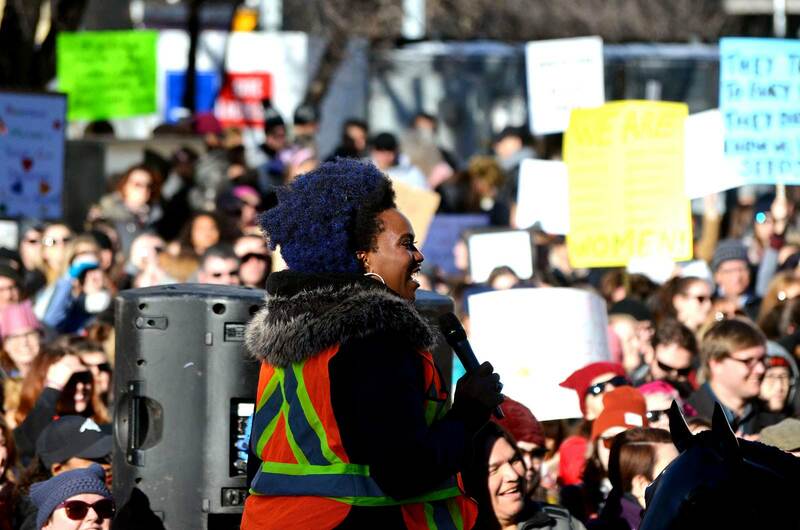 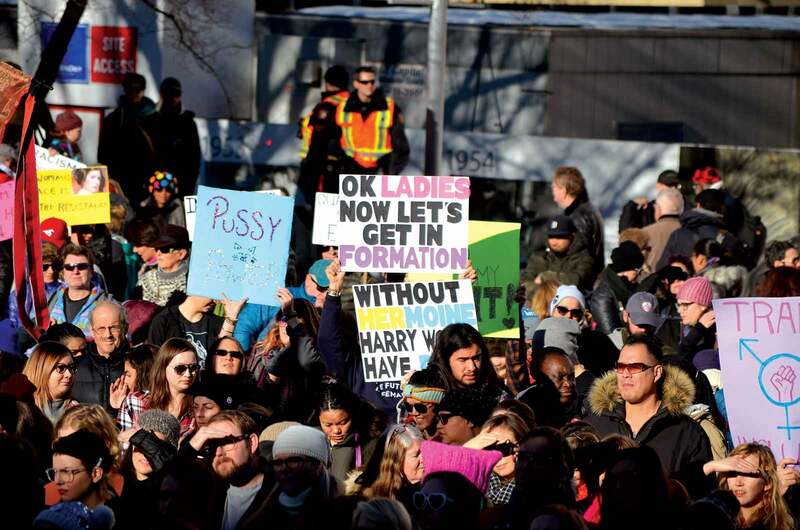 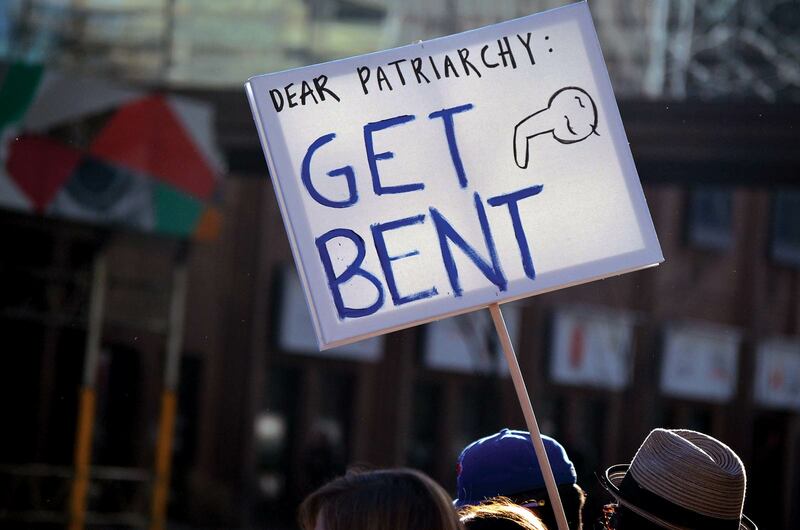 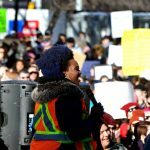 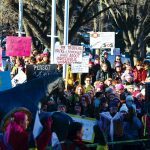 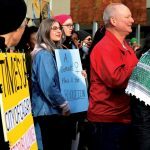 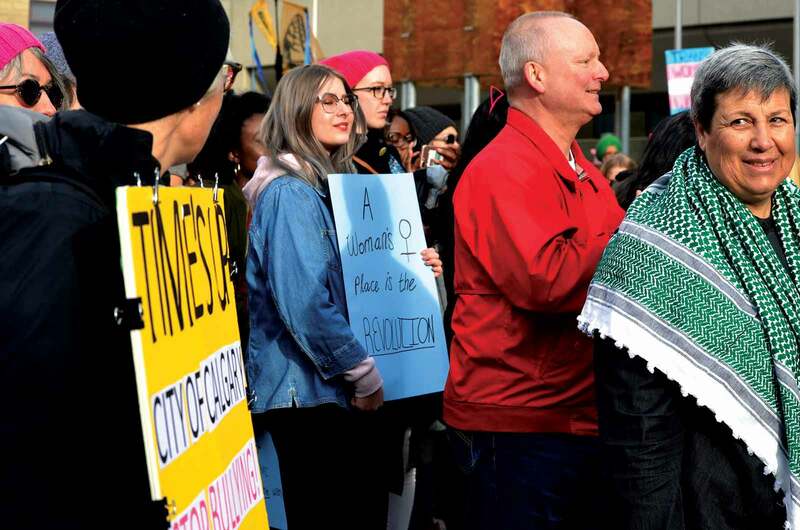 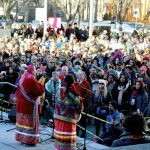 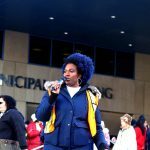 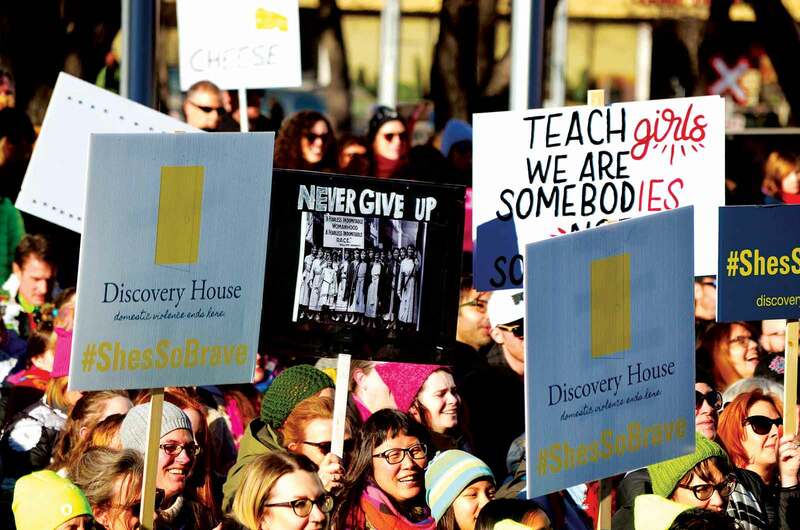 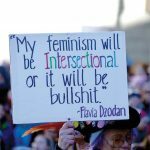 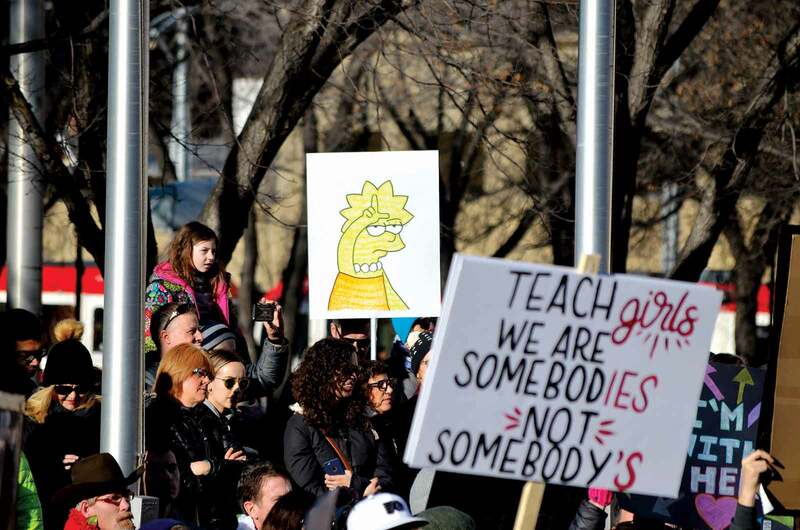 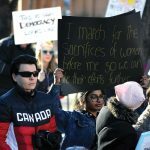 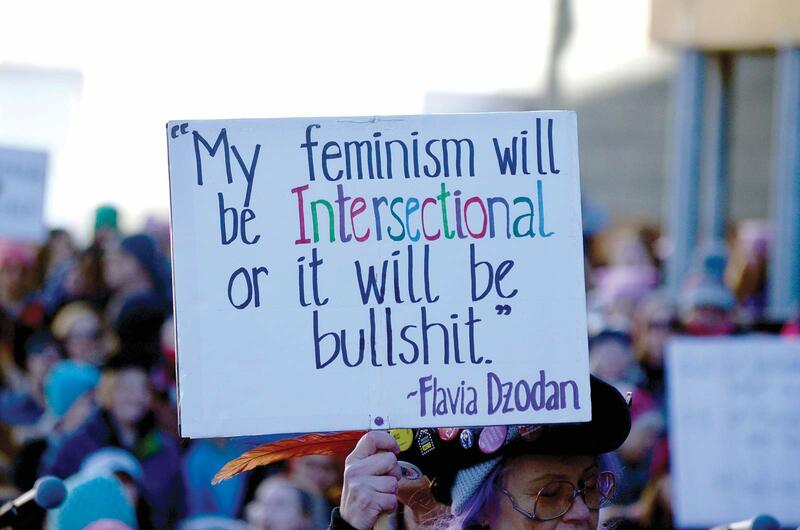 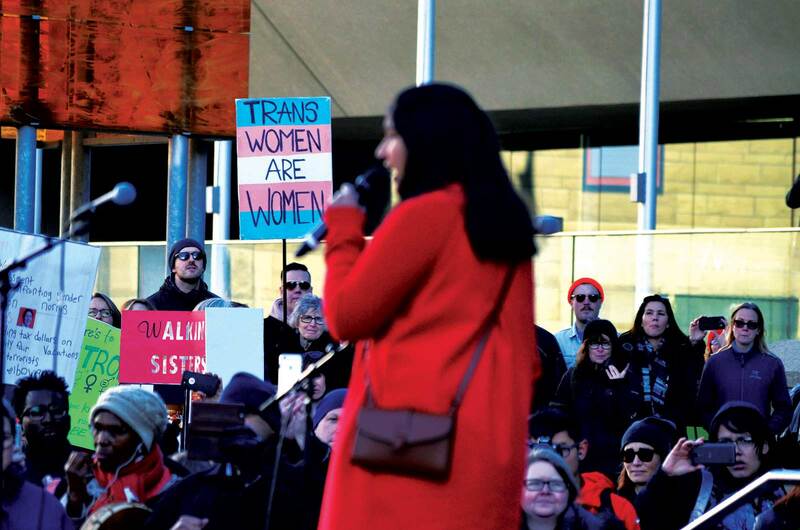 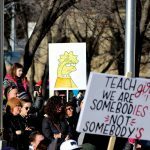 There, the rally, which was emceed by Calgary comedian and feminist activist Adora Nwofor, heard poems, music and speeches from an assortment of presenters. 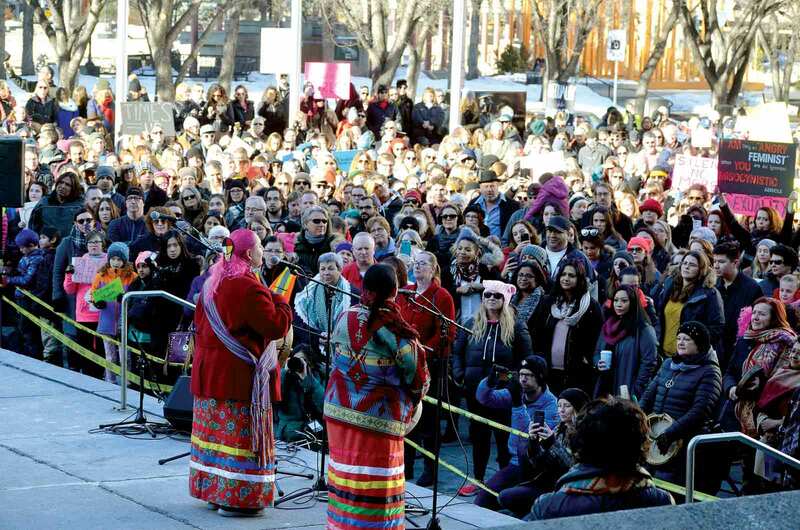 There were Indigenous representatives, including Sable Sweetgrass, a transgender woman from Kainai First Nation and Leann Gomez, an 11-year-old speaker from Blackfoot territory. 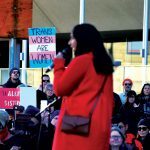 Other speakers included 14-year-old Muslim activist Asha Nenshi Nathoo and LGBTQ2S activist Jane MacNeil, also 14-years-old. 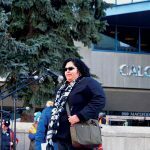 The rally also ensured there was a sign language interpreter on the steps of the plaza for those who are hearing impaired. 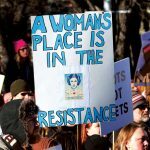 The march coincided with similar events across the country and hundreds across the world over the weekend. 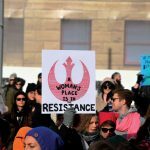 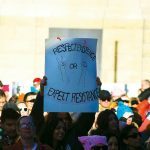 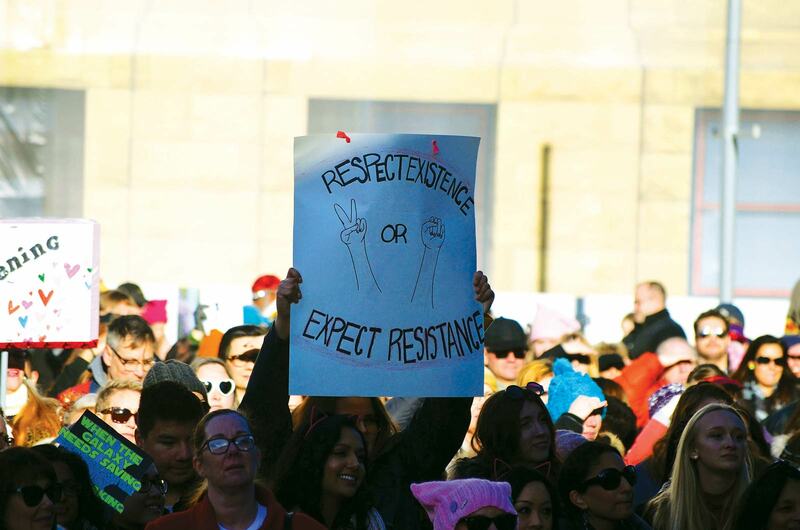 Last year, women worldwide mobilized in protest over President Donald Trump’s election in November 2016. 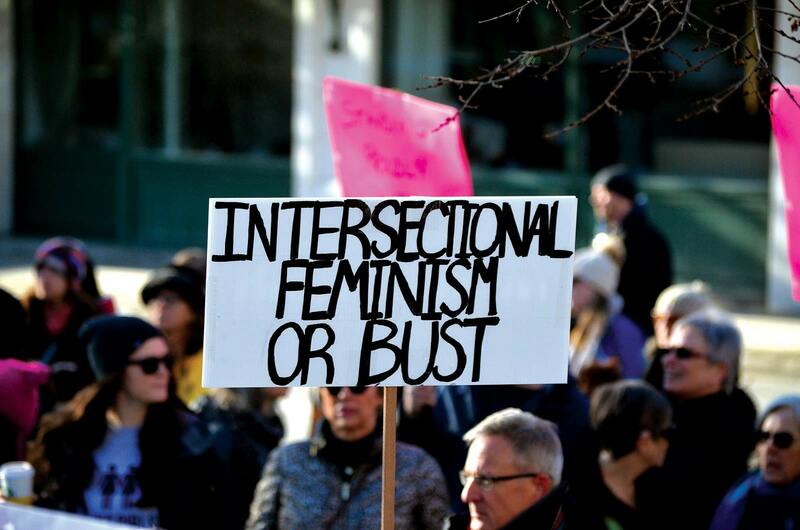 The march is meant as a symbol of solidarity for those oppressed and discriminated against. 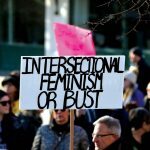 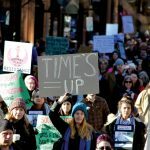 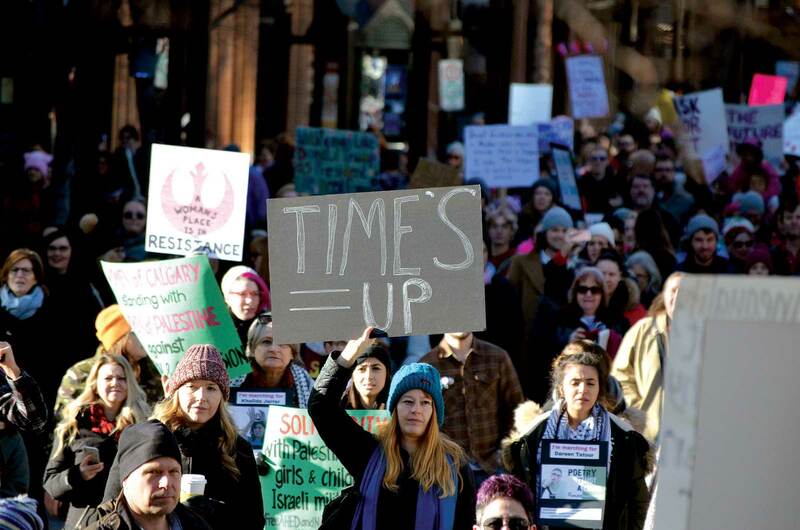 While 2017 began with the Women’s March, it ended with the taking off of the #MeToo movement of women, started by Tarana Burke in 2006, speaking out in solidarity against sexual harassment and assault and the subsequent Time’s Up initiative to end sexual harassment and provide a legal defense fund for those who need help taking action against their assailant. 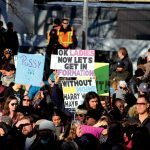 Thanks to these movements, 2017 saw many prominent male figures in Hollywood, politics, media, among other areas, fall from grace. 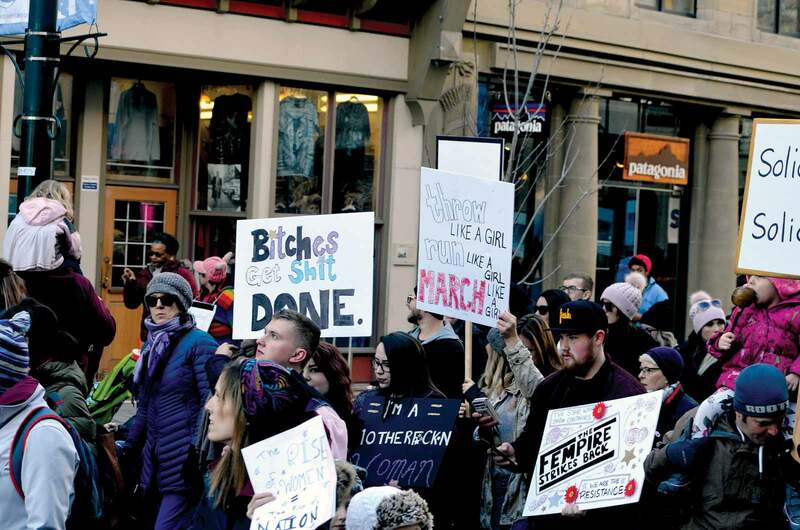 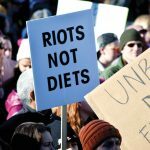 This year’s march was a chance to show the impact that speaking up and standing your ground has while furthering the discussion to create even more change. 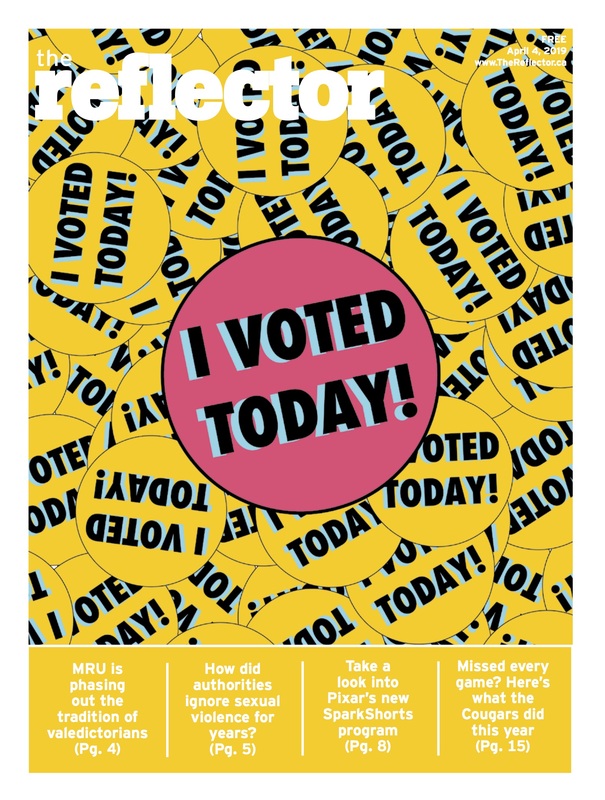 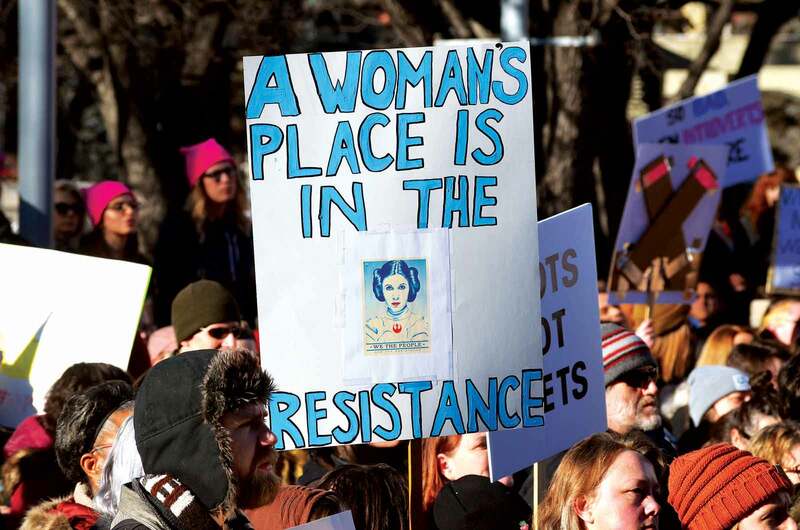 In the United States specifically, this year’s march was intended as a rallying cry to get more women and young people out to vote and run for office. 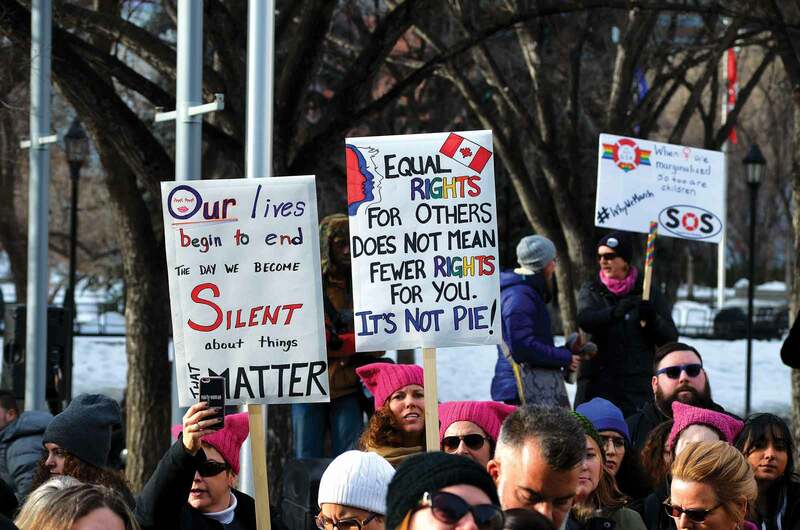 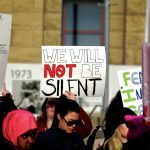 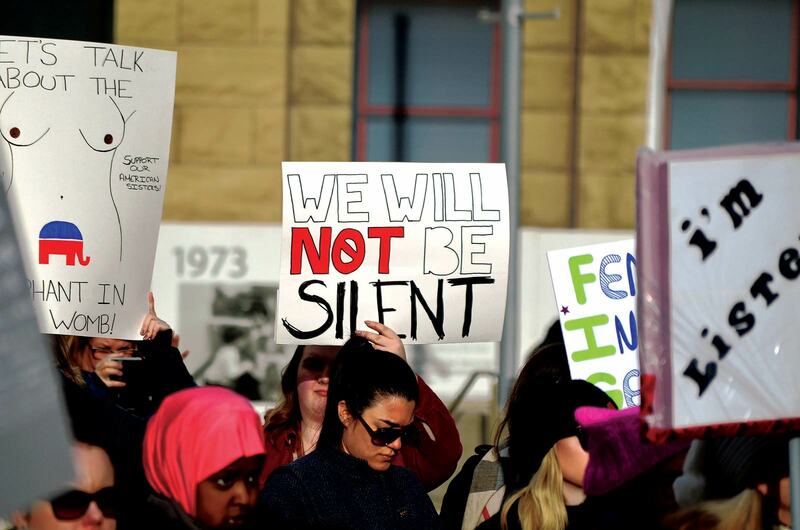 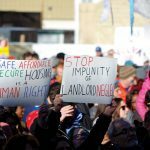 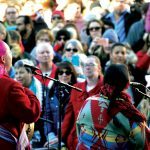 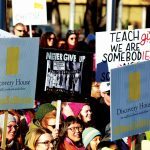 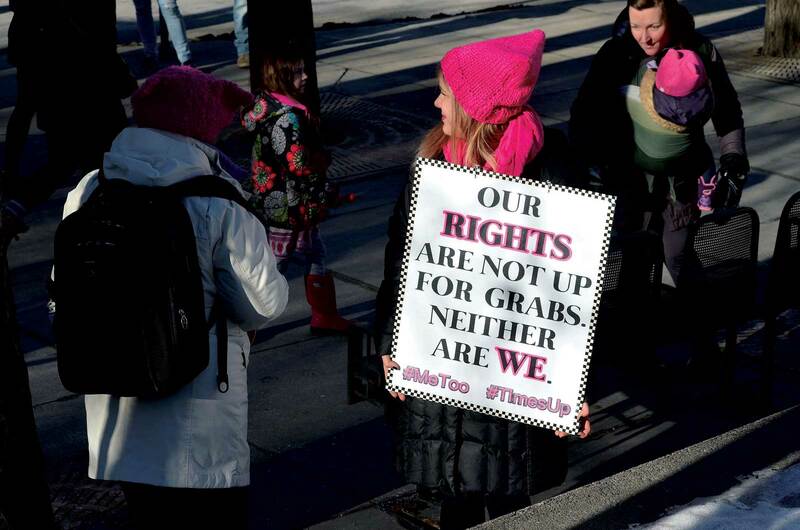 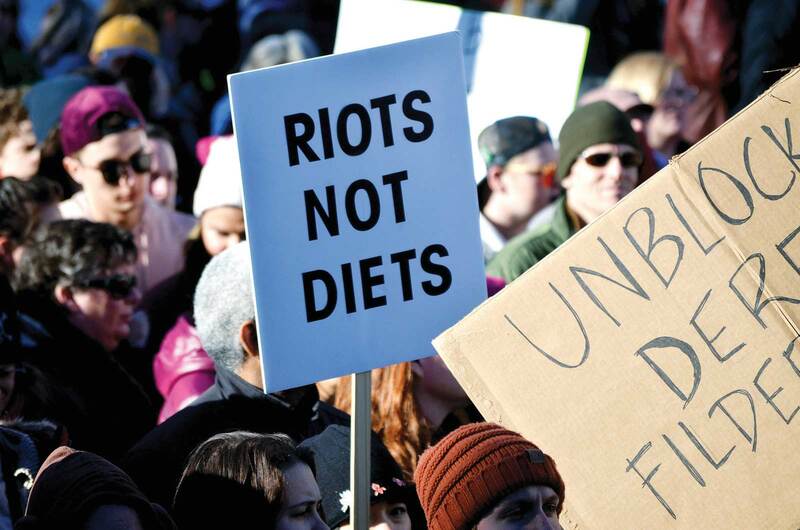 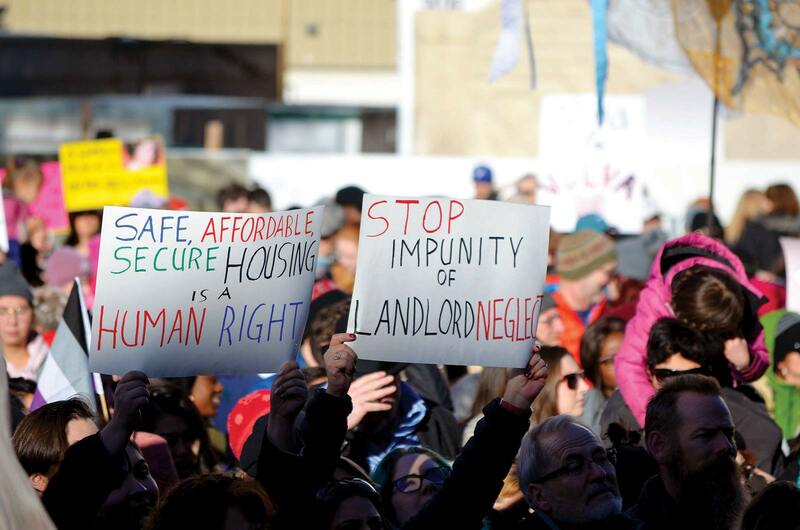 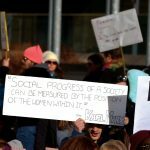 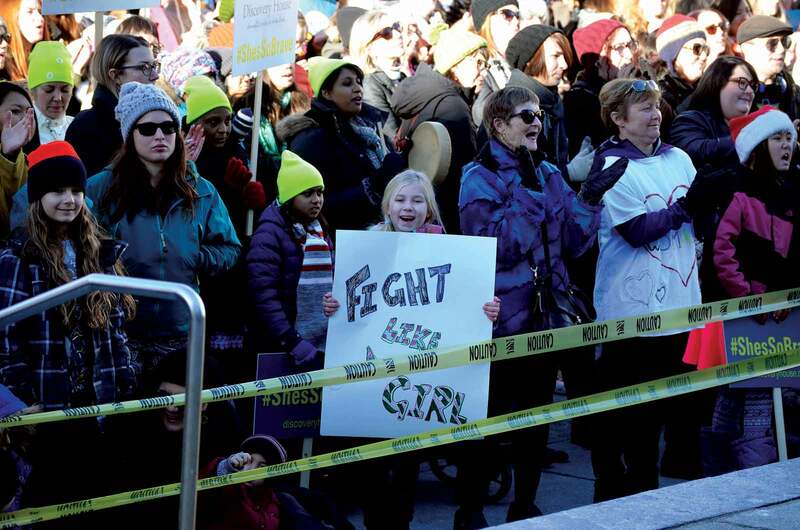 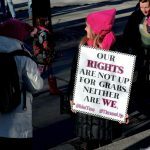 Other events throughout the year in support of women and human rights will be organized and all Calgarians are encouraged to keep an eye out for them and attend. 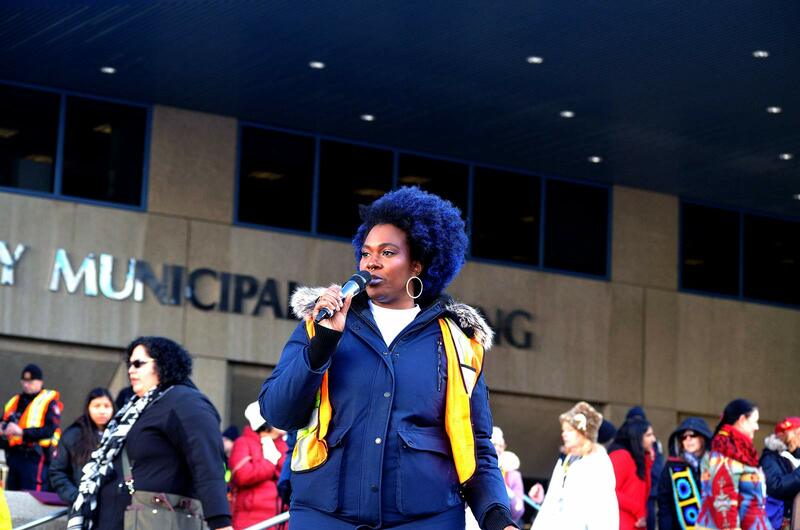 Adora Nwofor speaks as the grand marshall of this year’s march. 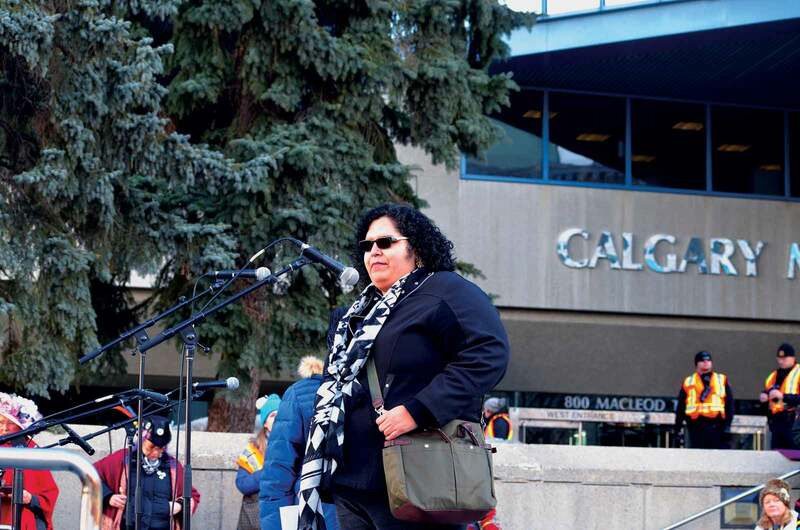 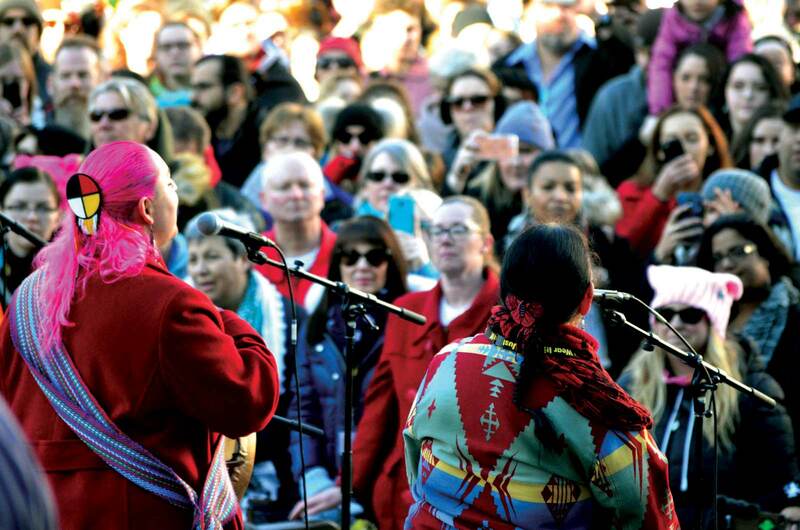 Chantal Chagnon (left) and Cheryle Chagnon-Greyeyes (right) speak and perform at the march. 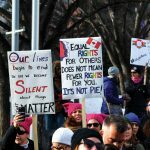 Previous story What’s it like to actually groom a dog?